My First Job in Los Angeles was as A Server at A Very Trendy (At The Time) Hotel Restaurant. The Hotel was located near An Area populated with A Lot Of Movie Theatres, so we often worked Big Premiere Parties. These Big Premiere Parties were usually Tons Of Fun. Each Server was assigned A Special Role. Because I was A Really Good Server, I usually was assigned A VIP Table. This meant, I got to Wait on The Stars of the film or The Head Of The Movie Studio. Whatever they Wanted, it was My Job to Make It Happen. This particular Big Premiere Party was for, The Prince Of Egypt, an animated feature that was supposed to be A Big Hit. So, The Movie Studio went All Out. There were Palm Trees and A Glorious Buffet full of Mediterranean Cuisine and Bars All Over The Place and Dancing Egyptian Things. No Expense was Spared! The Prince Of Egypt was going to be A Huge Hit! After all, It featured The Music Of Elton John. And I got to wait on Elton John. While The Stars are at The Theatre, watching The Premiere, Their Assistants come over early to take a look at The Party Set Up. While I was preparing The Banquette for Elton John, his Assistant came running over to me, in An Anxious Fury. Of course, The Movie Studio’s PR Department wasn’t to blame! The Buffet was must have been all My Fault! I calmed down The Assistant and assured him, I would make ELTON JOHN a special plate. 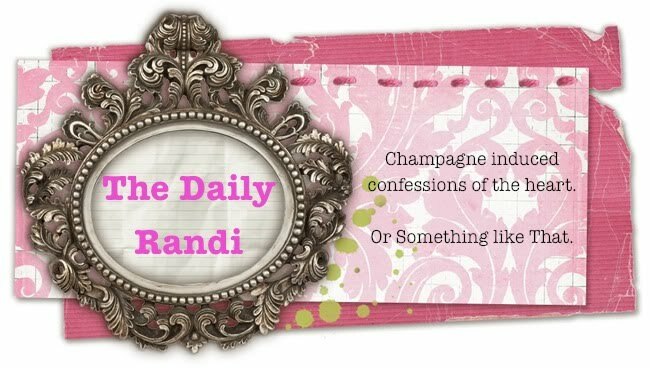 By the way, ELTON JOHN DOESN’T EVEN TOUCH HIS THE DAILY RANDI SELECTED AND CAREFULLY PLATED BUFFET ITEMS, either. He is clearly Not Gay, he didn't have the eggplant hummus. TDR, are you coming to the blogger party tonight? Alas, I am unable to attend This Evening's Blogger Party due to A Late Running Rehearsal.